A 2-minute,45-second video on drawing the perfect winged eyeliner has notched up, don’t blink, 2,44,68,428 views on YouTube India. That is over 15 times more views than the Main Bhi Chowkidar video on the Narendra Modi channel. Shruti Arjun Anand, a 33-year-old with a BTech degree, is traipsing through her beauty channels on YouTube with a streak of eyeliner, a brush of blush, bold lipstick and helpful tips in Hindi. She owns the top two beauty channels on YouTube India: Anaysa — with its Eyeliner for Beginners and Manicure at Home — is No. 1 with 51.9 lakh subscribers, while her eponymous channel Shruti Arjun Anand is No. 2 with 33.7 lakh subscribers. 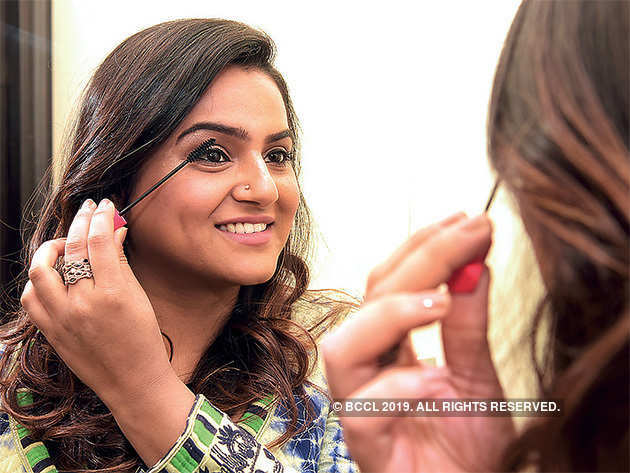 “I’m from Jhansi and I have realised that small-town girls have a big appetite for tips on make-up and looking beautiful,” says Anand, who is now based in Noida. In 2011, when she was doing a part-time job in the reinsurance sector in the US, she started a YouTube channel on a whim, posting home-made videos on hairstyles. Eight years later, she and her husband Arjun Sahu, who quit his IT job, own eight channels on YouTube and have a team of 12 people, including content directors, photographers and editors. “I think my YouTube videos are a success because my followers can identify with me,” says Anand. 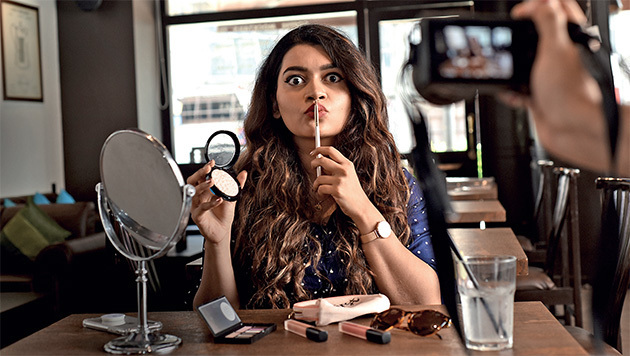 Make-up influencers are a rage on Indian social media, notching up followers and bringing in a handsome revenue. Social media influencers are the latest drivers for cosmetic companies like Lakme, Estee Lauder and MAC, as well as online platforms like Nykaa and Amazon India. These influencers mostly have a woman-next-door image, blending famous brands with friendly banter. Mumbai-based Gia Kashyap, who runs a popular blog called GiaSaysThat, says, “The market for beauty influencers opened up in the last few years mainly because we bridge the gap between reality and fiction. While make-up artists do a wonderful job for shoots and movies, influencers show, through photos or videos, how they do makeup on their own, which is more relatable,” she says. Nykaa, which banks on beauty influencers, bloggers and YouTubers in a big way, chooses them based on the quality of their content, the number of people they reach and the kind of responses they get. “Research shows our consumers make purchase decisions based on peer reviews and online recommendations. Hence we find this the best way to engage with them,” says Reena Chhabra, CEO of FSN Brands, the private label arm of Nykaa. Chhabra says contracts with influencers vary: it could be for a certain period or for particular launches. The West has been lamenting the impending death of the online influencer industry, but in India, 73% of companies surveyed by influencer platform Buzzoka say they plan to increase their budgetary allocation for influencers. Chadha monetises her blog, which has 45,000 subscribers through pay-per-click ads and by selling banner space to brands. But she swears by content collaboration. “Beauty brands reach out to influencers like me to run campaigns across social media platforms — You-Tube, Facebook, Twitter and Instagram,” says Chadha who creates a social media campaign to create a buzz around products at least once a week. Even though influencers have to be careful about brand endorsements , there’s a lot of money to be made, she says. “Monthly revenues usually go into six figures and in festival season prominent beauty and fashion influencers in India notch up seven-figure revenues.” She is now part of a team that has launched an ecommerce platform called WeddingBytes. A May 2018 report by RedSeer Consulting pegs cosmetics as the star category in the beauty and personal care market in India, with a 15% CAGR (compound annual growth rate). While the overall market is expected to grow at a CAGR of 9% — from $14-15 billion in 2017 to $22-23 billion in 2022 — categories such as cosmetics are expected to outpace the market growth, owing to social media influence and the entry of international brands, according to the report. Himanshi Tekwani, a postgraduate student from Jaipur, runs a YouTube channel, That-GlamGirl, which boasts 25 lakh subscribers. She posts two videos a week in which she talks about home-grown solutions for beauty. “I work only when I get time off studies, but revenues are growing and sometimes I make Rs 3 lakh to Rs 4 lakh a month,” she says. Beauty continues to be one of the most popular and fastest growing categories on YouTube, with 100% year-on-year growth. “From skin to nails and makeup to style tips, people are coming to YouTube for all kinds of beauty-related content, both for consumption and to learn something new. Channels on homemade beauty remedies in different Indian languages are also gaining a lot of popularity,” says Marc Lefkowitz, head of You-Tube content creator & artist development, Asia Pacific. 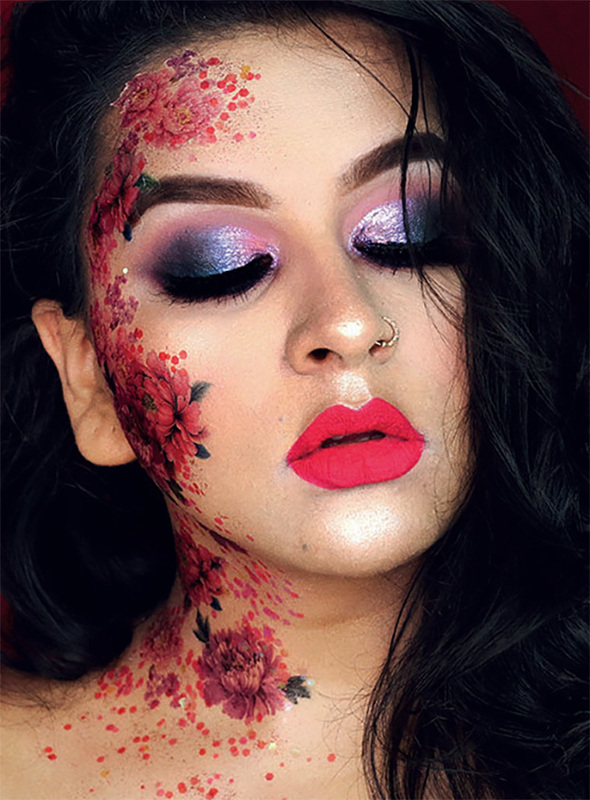 Saloni Mathur posts striking photos of body art, influenced by Instagrammers like Huda Kattan, founder of Huda Beauty, and Vanessa Davis, a wig and makeup artist. “I created a fusion of make-up and face painting and that helped me gain a lot of attention,” says Maathur, 30, who also does paid collaborations with brands, earning Rs 3-4 lakh a year. The other side of this make-up high is that many Indian women are still hesitant about wearing make-up, particularly to work. “However, things are changing fast,” says, Mehak Sagar, who gave up her job at American Express in 2014 to promote her blog PeachesandBlush and create YouTube videos to help brides with their wedding look. “Also, many big brands are introducing make-up in shades suitable for Indian skin tones.” Sagar, cofounder of wedding planning site WedMeGood, is a busy entrepreneur, but she still finds time to post make-up tips on her blog. It provides her with side income, she says. Professionals, like Delhi-based make-over artist Chandni Singh, are also entering the space. 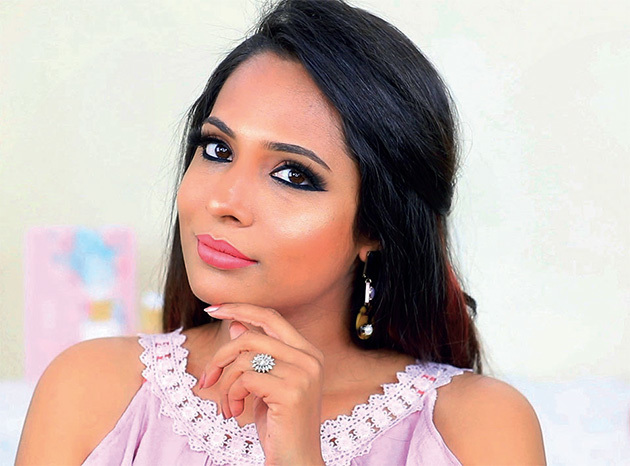 “I’m doing one or two videos a week focused on specific concerns such as make-up for dusky skin or dark circles,” she says. The videos are priced at Rs 399 and available for 30 days after purchase. Make-up can be nice, but Chadha and Tekwani would tell you that nothing makes a woman beautiful like success.